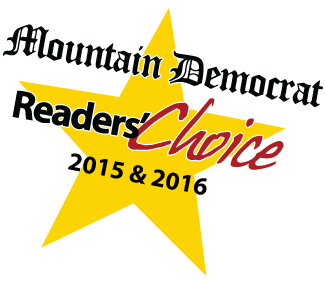 Nail-It Roofing was voted #1 for Mountain Democrat 2015 & 2016 Reader’s Choice for Best Roofing. To ensure your total satisfaction, contractors have been provided with extensive educational materials developed by GAF’s technical experts allowing them to stay current in the latest roof installation techniques. Owens Corning™ Roofing Contractors meet strict standards for professionalism, business stability and customer service. 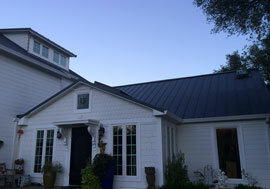 I want to thank you for your interest in Nail It Roofing and for the opportunity to be a part of your roofing project. 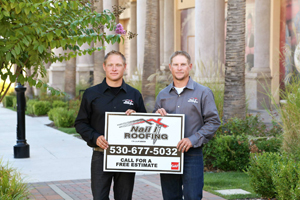 Although Nail It Roofing is a relatively new business (we were established in 2013), my brother Christopher and I have combined roofing experience of over 25 years. 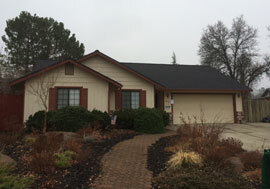 Born and raised in Placerville, California, we both entered the roofing trade early in our careers and have worked in all capacities, from laborer to superintendent, project manager, and estimator. Knowing all aspects of the roofing trade puts us at an advantage because we are able to bid and plan projects appropriately and accurately, staying on top of all aspects of the project. 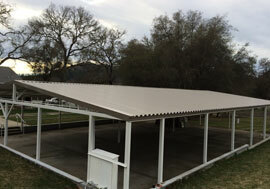 Additionally, as a family-owned and operated business, with young families of our own, we intimately understand the pressures around maintaining a functioning roof over our customer’s heads. Why should this matter to you? 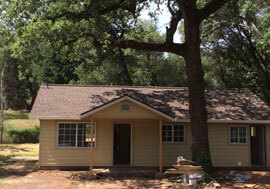 And why should you choose Nail It Roofing for your project over any other roofing company? First of all, we genuinely care about you, our customer, and want to ensure that you are satisfied with our quality of service. Although we are industry specialists, that does not mean we don’t need to listen to your concerns regarding your home and understand your priorities. Second, we provide a high quality, specialized product. We are not here to sell you a deck and windows too. Nail It Roofing provides specialized roofing services, and if you have other needs we are happy to refer you to other industry specialists that we know and trust. Third, we know you will be happy with our work because our previous and current customers are happy, and they let us know that. The majority of our business is obtained through referral, which says a lot about customer satisfaction and loyalty. Please review our Testimonials page to see what our customers say about us. Please do not hesitate to reach out to me with any questions or concerns regarding our services, that’s what I’am here for. Thank you for your consideration – we look forward to working with you!